This is one of the most important podcast episodes you must listen to before planning your 2019 marketing strategy. Today's guest has mastered the art and science of scaling 7-figure ecommerce stores to 8-figures and beyond. Kunle Campbell is the host of the 2x Ecommerce Podcast and the founder of 2x Media. I got him to reveal his entire strategy for 8-figure growth on the show and he held nothing back. Listen to learn his 3-step strategy for scaling any ecommerce business. If you want to take email marketing off your plate and turn it into a top revenue driver for your store, click here to apply for a free consultation. 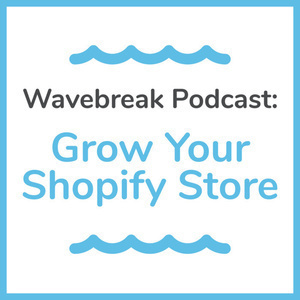 At Wavebreak, we help Shopify Plus stores stop leaking email revenue with done-for-you email marketing. We're currently booking clients for January 2019. Don't wait around because these spots will fill up by the end of 2018. Apply for your free consultation now to reserve your spot.